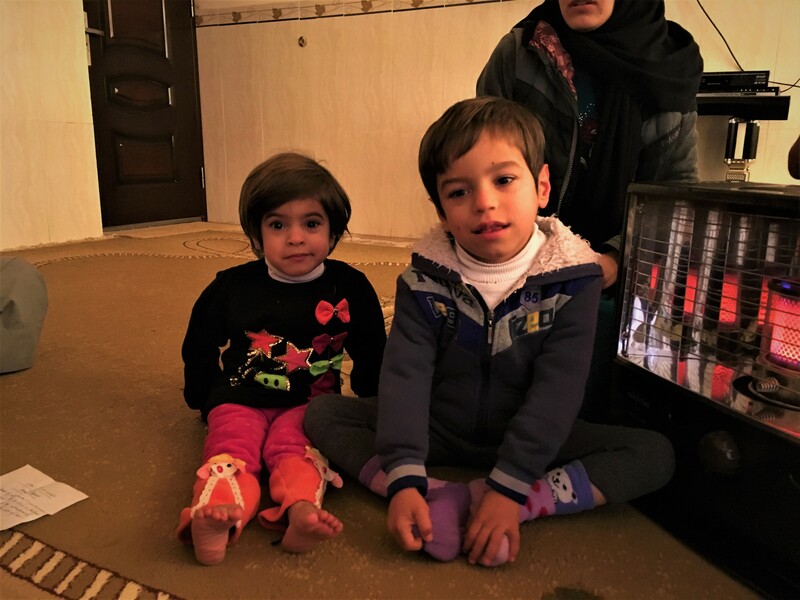 Zahraa (3) and Ahmed (5) are two siblings from Mosul, now living in Perash, Erbil. Their family left Mosul in June in 2014 when ISIS fighters began their campaign to establish their stronghold in the city. The family spent several weeks in an IDP camp in Kirkuk while Zahraa and Ahmed’s father looked for work in Erbil. Eventually they where all reunited in the Kurdish capital where they now live. The six of them (Zahraa, Ahmed, their parents and two grandparents) share a house with another family. Since their father lost his job a few months ago, they rely solely on their grandfathers retirement plan as a source of income. Due to their limited income, the family have asked for help to cover the medical needs of the two children. Zahraa is suspected to have a growth hormone deficiency, and so, needs specialist tests to confirm the diagnosis. Meanwhile, Ahmed has presented difficulties with his speech; at five years old, he is only able to make a few mute sounds. The family have secured a therapist at an autism centre in Ainkawa who has offered to see Ahmed five days a week for 300$ a month. We would like to contribute towards this treatment as it will greatly benefit this young boy’s development. If you would like to support this endearing family, click below to donate!